The global industrial landscape is progressively changing: we now live in an era driven by the convergence of sensors, controls, data, security, cloud, and algorithms. Technology transformations and convergence are driving disruptive changes to the way process industries have traditionally functioned and operated. Driven by these factors, the near term future will see a plethora of changes and opportunities to improve across key areas such as customer procurement models, operational performance management models, control platforms, industrial software, cybersecurity, workforce dynamics and supply chain responsiveness. An examination of the tectonic shifts underway and their implications. A thoughtful assessment of customers’ imperatives and critical issues faced by the industry. An analysis of the transformation journey and Synaptic Business Automation which is our Industrial Automation (IA) business concept to realize our corporate vision - Through ‘Process Co-Innovation,’ Yokogawa creates new value with our clients for a brighter future. Join us in our journey, which is ‘Synaptic Business Automation’. The process industries globally are in a state of change: swings in commodity prices, volatility in investment cycles, margin pressure, and intense competition are driving factors that are changing the way companies will operate today and in the future. In analyzing the market space, we have observed four major shifts underway across the process industries. These shifts mark the beginning of an interesting and rewarding journey for customers, who are leading the charge in embracing a digitized future. The domains of operational technology (OT)— controls, sensors, flow meters, and pumps are converging with the domain of information technology (IT)— cloud, algorithms, supply chain, enterprise planning, and applications. This convergence is facilitating a shift from the traditional ISA-95 layered architecture to a pillared/networked architecture. A case in point: today, sensors are being embedded with computation power, so they can analyze data at the edge instead of simply being a conduit for upper level controls. Also, the sensor’s ability to communicate directly with enterprise systems without having to go through control layers helps in reducing latency while maximizing performance. Driven by Shift #1, OT/IT convergence is blurring the boundaries in the way solution providers are approaching the market. Clearly, OT solution providers have the upper hand, but they have a lot to learn from IT players, which have been providing solutions in the areas of cloud hosting, cybersecurity, algorithms, and customer engagement models for more than 30 years. The single biggest difference between IT and OT lies in its key performance indicators. IT prioritizes confidentiality while OT prefers availability and has multiple stakeholders to manage. Clearly the issues faced by industries cannot be solved by one company today. Digital Oil Field of the future: The Oil and Gas industry continues to experience the effects of a powerful convergence between the need for increased operating efficiency, higher oil and gas recovery requirements, improved productivity, all at lower costs. From this the vision of the Digital Oil Field of the Future (DOFF) has emerged providing innovative but practical, approaches to improving and potentially transforming reservoir production and facilities management against the background of lower for longer oil prices. Integrated operations tie in all aspects of a disparate oilfield (e.g.,wells, equipment, systems, sensors, controls) and bring them to an enterprise level for easier monitoring and total management. Integrated operations centers are being implemented by leading operators to elevate visibility of performance deviations and changes in real time. As the crew change and shortage of skilled workers retains industry performance, the DOFF provides new ways to improve operational agility while best utilizing the available workforce. Smart power: NERC-CIP (North American Electric Reliability Corporation Critical Infrastructure Protection) security regulations and the integration of different sources of power generation (thermal, nuclear, wind, solar, hydro) with demand response initiatives have driven the power industry to have a deep sensory network and centralization of monitoring. This helps the industry to measure and monitor demand requirements in real time. Further, it has resulted in the emergence of network operations centers and security operations centers that aggregate all data and visualize it for management in real time. However, in analyzing the spectrum of process industries, the level of digital maturity varies widely. The imperative to adopt digital technologies is now prevalent, and the motivation to achieve outcomes and do more with less is rapidly picking up across the process industries. As shown in Exhibit 3, we have analyzed three unique customer segments based on their levels of digital maturity. A small slice of less than 10% of the market are enterprise digitizers who have digital initiatives and focus groups running multiple programs across the enterprise. Selective digitizers account for 35 to 40% of the market and as the investment cycle picks up, they will be looking to benchmark best practices and mimic the behavior of enterprise digitizers. Across process industries, digitization is the adoption of digital technologies (e.g., wireless, smart devices, edge, analytics algorithms, controls, software, cybersecurity) to perform actions effectively and efficiently and drive new value creation as compared to traditional work processes. Cases in point: Shift from analog I/O to digital I/O; shift from paper-based records management to paperless/software-based management system. Once customers have fully embraced digitization, organizations need to focus on the next wave of improvement: digitalization. Digitalization deals with business outcomes that can be achieved as a result of digitization, moving from information to knowledge. It is defined as enabling business process transformation and providing new revenue and value-producing opportunities by leveraging the collaborative elements of automation and digitization. In summary, digitization enhances monitoring, performance management, and efficiency; digitalization drives innovation and continuous value creation outcomes. Becoming trusted partners and open digital platform providers who have the ability and domain knowledge to solve multifaceted customer challenges. Delivering outcomes-based services on business-level KPIs. Case in point: We offer KBC Co-Pilot ™ and Consulting Services/OpX ™ Consulting as two lead solution offerings in this space on Yokogawa infrastructures. KBC Co-Pilot is the implementation of online models or so called ‘digital twins’ of the asset continuously monitoring and forecasting unit equipment performance and energy consumption with centrally based experts providing Co-Pilot opinions to the operators. This can be expanded further to a full Operational Excellence (OpX) study of the facility and capture and improvement of best operating practices within the digital twins. As shown in Exhibit 4, the market has already seen the emergence of MAC. However, the need for information management is a critical component in today’s world due to the increasing volume of data that industry generate. Customers are striving to implement solutions that can help them make good sense of captured data. In industry research, however, Frost & Sullivan found that process industries were utilizing less than 5% of captured data. Hence, there is tremendous potential in implementing analytics on data sets and helping the customer achieve outcomes by co-relating different data types. As these shifts permeate changes across industries, there are several issues that then impact the industry either directry or indirectly from the changes. We have identified a core set of critical issues and possible solutions for our customers, as shown in Exhibit 6. Critical Issue #1: Digitization – Technological advancements and the widening divide between workforce and operational complexity are driving the adoption of digitization technologies. Customers are embracing solution approaches such as digital twins to virtually mimic the performance of the asset, while delivering performance optimization in real time. Also, we expect AI technologies to infuse new levels of agility and predictability in performance. While the future looks bright and interesting, not all customers are at the same digital maturity level. The disparity is driven by culture, top management involvement, change management, path to excellence, and service provider. Large operating companies have a digital office that pulls in stakeholders from multiple domains to nurture cross-pollination of ideas and collaborative decision-making. We have seen large operating companies across industries embrace/embark on the digitization journey. However, we believe that small and midsize companies can benefit the most due to cost efficiencies and effective performance management approaches. Performance-based contracts: These are service-level agreements paid on delivering level of performance based on KPIs. For example: payment, may be based on the level of system availability rather than a lump sum fee at the beginning of the project. Zero upfront payment business model: In this case, certain elements of the project (such as sensors) are provided with no upfront payment in return for a multi-year monitoring and performance enhancement engagement. No matter the business model, we increasingly observes the sharing of challenges, based on trust and collaboration will grow along with an intensified focus on delivering outcomes. This requires a culture change, which is quite challenging for customers as well. Critical Issue #3: Layered → Networked Architecture – The traditional ISA-95 Level 1 to Level 4 architecture is poised to be replaced by pillared or networked architecture, wherein sensors can communicate directly with enterprise systems. As the layers converge, we see level 1, 2 and 3 converging into one level. Also, controls will become more de-centralized with more computing horsepower being pushed to the edge. Accordingly, cybersecurity is becoming increasingly important for OT/IT convergence as one of the highest level critical issues in customers’ business. Critical Issue #4: Sustainability – The United Nations has developed a set of 17 key Sustainable Development Goals (SDGs) that are expected to transform the world by 2030. To achieve the SDGs, we must change from current linear economic model of “Take and Waste” to a circular economic model of “Reduce, Reuse, and Recycle” based on long-lasting design. While the initiatives are diverse, many are connected to industrial end markets: industry innovation, sustainable cities, partnerships, and responsible consumption and production. As customers look to align themselves to these goals as part of corporate responsibility, they look for trusted partners who can help in achieving them. Critical Issue #5: Intelligent Operations – In the next 10 to 15 years, process industries will transform into fully integrated value chains delivering end products at consistent quality levels every operational day. Systems and assets will become self-healing, driven by model-based analytics and managed service offerings that will institutionalize a higher level of predictive operations. Critical Issue #6: Siloed → Enterprise – As process industries continue to innovate and push the envelope of operating parameters, operating companies are looking to adopt an enterprise visualization strategy. Driven by technology, customers can aggregate different types of data across sites and implement performance optimization using analytics at an enterprise level. One aspect that many automation companies oversee is the ability to optimize the supply chain. A case in point: Chemical companies have incredibly complex and connected supply chains. Quality issues in any part of the value chain can create a ripple effect; hence, maintaining tight control and visibility across the connected value chain is critical to ensuring end-product quality. Yokogawa’s expanding solution portfolio has the capability, today, to address issues within the plant and beyond the four walls into the connected supply chain. Cutting-edge solutions such as Process Data Analytics (explained in the latter half of the paper) are examples of its all-encompassing value proposition. These critical issues need to be well-managed within an enterprise to build responsiveness and continuous improvement. To address critical issues, in the next section we will analyze key customer requirements. Process organizations are prudent in implementing new technology due to their installed base of assets and systems. It is an investment challenge to replace these older systems and upgrade to cutting-edge technologies. The modernization can also be achieved through a 5 year digitization master plan. Because CAPEX cycles continue to be stressed, customers acutely focus on maximizing returns on existing assets, with minimal additional investments. At the same time, the industry is changing its attitude to implementing digital technologies and adopting newer methods of operations primarily due to profit imperatives. Frost & Sullivan conducted a study across global manufacturing customers, and this response was aggregated, as shown in Exhibit 7. It clearly shows that the single biggest driver to adopting transformative technologies is operational efficiency. Asset-intensive industries such as oil and gas, chemicals, power, water and wastewater, and pulp and paper face multifaceted requirements, as shown in Exhibit 8. Capital Efficiency: The downswings in commodity prices have led to a capital crunch across the process industries. Investment cycles are recovering somewhat, but there is an unswerving focus on preserving profitability while maintaining judicious investments. Asset Efficiency: Based on the type of management, existing assets can either be cost centers or profit centers. We have observed that customers want to leverage the power of Industry 4.0 and the IIoT to drive maximum performance from assets and utilize them to their full extent. Customers are also leveraging the power of analytics to assess the amount of useful life remaining in assets to make informed decision-making and to avoid emergency and abnormal situations. Resource Efficiency: From a people standpoint, industries are facing challenges from two perspectives: the decline in skilled workforce and the entry of millennials in today’s plant. Past data from various human resource organizations shows that at least 45% of the energy workforce is expected to retire soon. Aging infrastructure and archaic operational models will need to change to attract the new generation of workers, so-called ‘digital natives’ who have ‘ gaming’ like mindsets. Energy consumption management is also expected to become a closely watched area due to the imperative to do more with less. Implementation of Industry 4.0 and the IIoT across industrial markets will help customers become responsive enterprises of the future. However, as seen in Exhibit 8, process industry requirements are multidimensional yet connected on a common backbone: operational profitability performance management. Today, there is no one solution that can solve all the mentioned challenges, but we have seen the emergence of digital industrial platforms that can enable industry transformations seamlessly. Simply defined, digital industrial platforms are turnkey solutions that integrate all variable elements/factors associated with a facility (e.g., temperature, pressure, flow, ambient conditions, corrosion data, workforce, customer requirements) while helping customers align and achieve corporate KPIs such as safety, availability, reliability, and profitability. Many digital industrial platforms are available, but most are at a nascent stage of market entry; there have been no wide-scale implementations. It will also be important for leading solution providers to collaborate such as the recent announcement from Yokogawa KBC to combine digital twin Petro-SIM process simulation with BHGE’s machine learning and analytical PREDIX platform. Customers are implementing pilots on certain operational areas and are testing the benefits, returns, and impacts on critical KPIs. What will the industry we are in look like 10 years from now? In our opinion, the process industries will transform to a high-tech workplace that is highly automated and information-driven. Ubiquitous connectivity, advanced analytics, asset prognostics, and real-time computing will drive systemic and business transformation. Software-driven changes will force industries to reconsider management paradigms, while most operations become remote, synchronized, and managed in real time. The changes about to happen are significant, but as solution providers, are we prepared to face those massive industry changes? Every automation company is transforming in some way from an industrial company to a digital solutions company. Leading automation technology suppliers have been hard at work integrating various solutions, building internal capabilities to fill in gaps, performing bolt-on acquisitions, and boosting software development abilities. The end goal of the companies is nurturing a platform-like solution to help comprehensively with customer challenges turning information into knowledge outcomes. We expect to see a convergence of sensors, controls, algorithms, information, and services. This will drive the need for companies to create full portfolio solution and service offerings that are aligned to overcome specific customer challenges. Exhibit 9 shows the shift from layered ISA-95 architecture to a networked architecture of systems. This is expected to drive a significant change across process industries as customers will need to transform architectures in order to create a flatter, networked, and smarter ecosystem of synchronous solutions. At the same time, solution providers will need to excel in developing industry-specific approaches and asset-specific applications and leverage domain knowledge to create additional value—not just for an existing customer base but also for new customers. Heterogeneity is bound to exist across process industries due to past practices, acquisitions, and a lack of standardization. As systems converge and customers look to achieve enterprise visibility, we must be able to work seamlessly with other systems (regardless of make, model, and vintage). Customers seek differentiated offerings based on value- creation and business transformation from automation technology solution providers. While the current focus is driven by adoption of performance management solutions on the installed base; advanced technology implementation, new business models, pricing ingenuity, and trusted partnerships are some of the critical requirements in the next 3-5 years. As customers transform their operations into digitalized enterprises of the future, in the following section, we will see the digital journey of Yokogawa as one of the few independent process automation solution providers existing today. The Past and Present: Company focused on selling best-in-class products that excelled in cutting-edge technology. VigilantPlant was Yokogawa’s automation concept for safe, reliable, and profitable plant operations, and essentially a path toward operational excellence by leveraging our unique offerings and capabilities. The organization celebrated its 100th anniversary in 2015 and set its sights on delivering sustainable performance in the years to come. In 2015, Yokogawa embarked on a structural reform called Transformation 2017, a new mid-term business plan for growth. With Transformation 2017, Yokogawa saw a need to shift focus from an automation system supplier to a more comprehensive solution provider. New Value Creation: Use ICT to co-create value across industries, develop solutions without boundaries, and help achieve overall optimization. Efficiency Maximization: Retain the unswerving focus on optimizing all functions and operations. The combination of these focus areas brings about the organization’s vision for excellence: Process Co-innovation. This is a corporate vision that utilizes all of the organization’s measurement, control, and information technologies. Per this vision, process optimization goes beyond production processes to address all material and information flows within and between companies, including both value and supply chains. This helped bring about a streamlined functional structure with a refined focus on automation built on foundation of change such as the IIoT, value creation, and sustainment. This allows Yokogawa to help customers maximize their profits by offering reliable products and working with its subsidiary, KBC Advanced Technologies, to provide premium solutions and services. Synaptic Business Automation serves as a platform for the company to work with its customers to sustain their creation of corporate value. Synaptic Business Automation is defined as a digital industrial platform that connects everything—people, systems, data, services, and supply chain— while delivering sustainable value and innovation to customers. Simply stated, Synaptic Business Automation is an evolution of the VigilantPlant, going beyond the four walls of the plant. Breaking it down, Synaptic Business Automation is the combination of two key elements: Synaptic and Business Automation. With Synaptic, Yokogawa displays the combined synergies powered by intelligent, creative people who have deep industry/domain knowledge and a strong ability to consistently stay ahead of the latest technology developments. ‘Synaptic’ is a derivative of ‘synapse’—a structure in the nervous system that plays a role in the transfer of signals to other parts of the human body. 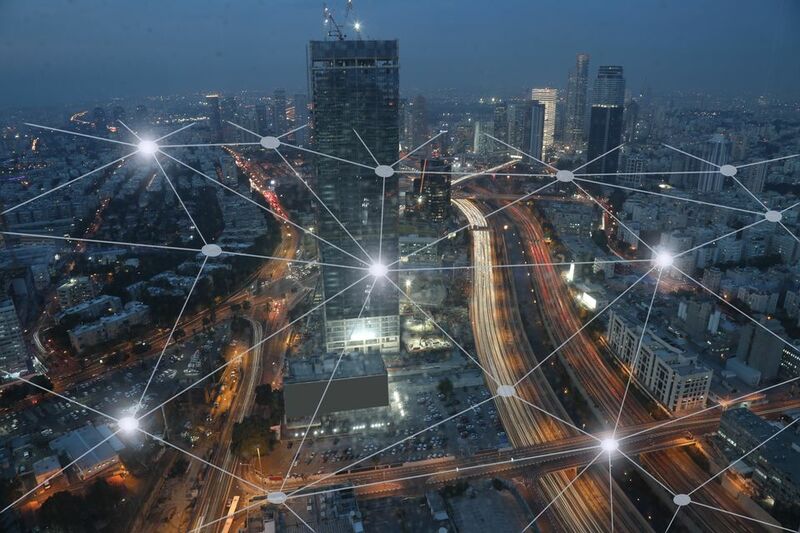 As with the term ‘synaptic,’ Yokogawa helps customers create new value by connecting them with a neural like network (much like the human brain) of systems, data, and technology that works seamlessly and expands with their needs. This synaptic network encompasses the customer’s entire business—from technology to operations and from manufacturing to supply chain. It significantly enhances sensing ability, integrates control and information systems, and processes knowledge on demand. The neural network enables a seamless data transfer between the various elements while structuring a performance-driven organization. With Business Automation, Yokogawa shows its ability to understand all problems faced by its customers, not just those pertaining to control-level issues. Yokogawa also has built capabilities to work with customers to deliver co-innovation, digitalization, value creation, and efficient solutions. Through co-innovation, Yokogawa can build long-term, trusted relationships that provide long-lasting benefits for customers. The organization can contribute tangible results in profitability and sustainability by optimizing its customers’ business assets and organization. Conclusively, Yokogawa helps customers achieve operational excellence and sustainable growth. Industrial Evolution (DBA Industrial Knowledge), acquired in January 2016: A pioneer of cloud-based data sharing as a service (DaaS) in energy, chemicals and power industries. This solution helps in collecting real-time process data from a spectrum of systems and sensors and provides the right data to the right people. The industry-proven cyber-secure systems help in secure sharing of data with authorized end users. KBC Advanced Technologies, in April 2016: Originally, KBC was founded as an oil & gas consulting and technology company in 1979. As it gained experience and widespread market adoption, it progressively expanded to petrochemicals and chemicals industries. The acquisition of KBC brought not only strategic consulting but also leading process simulation technology to the Yokogawa Group. This acquisition helps in the identify, create, and implement phase. SOTEICA VISUAL MESA, in October 2016: Founded in 1981, the company’s uniqueness is its utility energy management solution. SOTEICA VISUAL MESA has a solid track record in the energy management solutions field and provides production accounting and scheduling solutions to the refining industry. 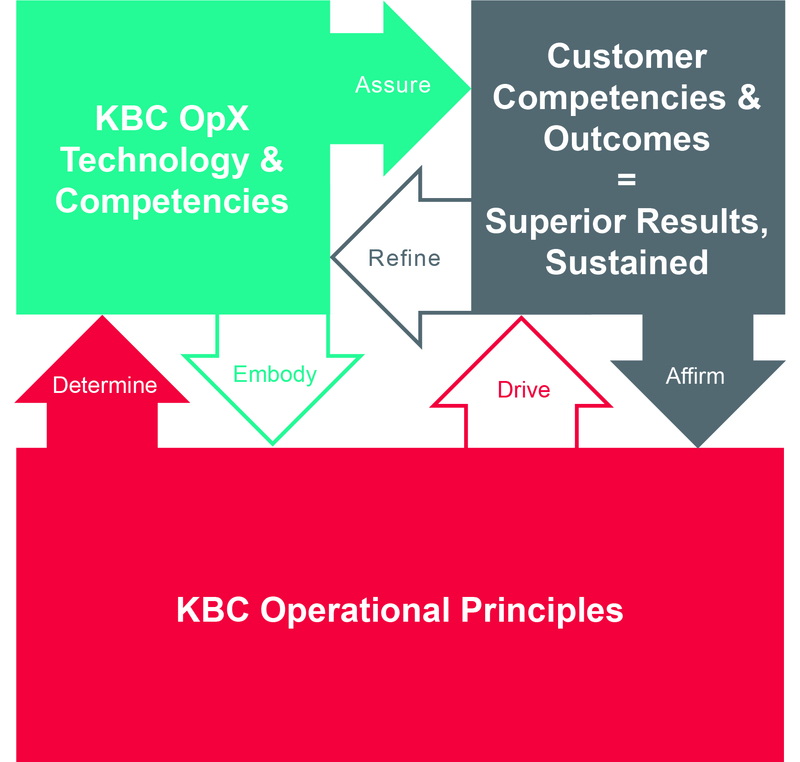 KBC is all about excellence in the energy and chemical industry and provides leading software and expert services, powered by the cloud, to ensure that process operations achieve their full potential. Industrial Knowledge and SOTEICA VISUAL MESA were integrated with KBC to strengthen the energy management consulting service and drive optimization of plant-wide production processes through cloud services. The combined synergies also facilitate the integration, collaboration, and optimization of customers’ entire value chain. The solution integration led to the creation of a differentiated value proposition: Continuous Value Creation Cycle. This methodology helps customers minimize expenditure and risk and rapidly implement solutions. Another intrinsic part of this cycle is that of process and domain knowledge, which is critical because of the need to understand a plant and its processes to efficiently design and deploy customized solutions. Exhibit 12 shows the key solutions that enable the continuous value creation cycle, which positions Yokogawa as a reliable and trusted partner for challenges within and beyond the four walls of the plant, including the supply chain network. The key aspect to note here is Yokogawa’s ability to not only provide offerings related to conventional automation and applications, but also deliver comprehensive solutions from sensors to enterprise, to total plant, and advanced deployment models such as cloud and remote solutions. »OpX ™ Consulting: More than 70% of operating companies, in process industries, need OpX to be further underpinned with sustainable technology in order to realize benefits. This shows the need for a solution that helps bridge the gap between program objectives and actual performance. One such solution offered by Yokogawa to overcome this challenge is that of operational excellence. It is a continuing strategy to drive sustained improvements in profitability while balancing the focus on safety, security, and compliance. KBC, brings about a systematic application of technology and domain experience to ensure that superior results are sustained. • Create & Implement: Deals with the design and deployment of optimal solutions at a customer’s site, based on the potential improvement areas outlined in the ‘Identify’ phase. »Integrated Production Management System(IPMS): Recently Yokogawa has implemented one of the largest OT integration projects for the LNG industry. Our customer has invested in the development of the Integrated Production Management System (IPMS) for full integration of the OT and IT domain. The IPMS, which is a combination of sixteen integrated systems, supports the full business operations of our customer, from maintaining the assets to managing its commercial and scheduling functions of it’s operations. Through an extremely agile implementation approach, the IPMS has been designed and implemented within 14 months, in parallel to the customer building its operational organization for a new LNG plant in the arctic area. »Agile project execution: It is an alarming trend that a significant portion of automation projects has faced schedule delays, ineffective change management procedures, and other problems. While automation is a small part of the overall project, it is a significant lever to drive performance excellence with early engagement. Yokogawa’s agile project execution methodology helps in delivering cost-effective execution, effective management of change, at least 10% reduction in engineering hours, and an overall risk reduction in plant start-up. »Platform for advanced control and estimation (PACE): Yokogawa has more than 20 years’ experience in Advanced Process Control (APC) and has successfully demonstrated value with top operating companies in the world. PACE is a differentiated offering that ties multivariable control, quality estimation, complex calculation, and user interface on a common platform. This creates a unique application that can deliver reduced deployment time, simplified maintenance, and robust performance. Past implementations of the solution have provided a ROI of 6 to 12 months. •Operate: This phase deals with either helping the customer or having Yokogawa perform safe and stable operations. »Supply Chain Solution: SOTEICA VISUAL MESA provides supply chain scheduling production accounting and loss detection solutions. The combination of these solutions with KBC’s refinery optimization solutions and supply chain consulting services provides a comprehensive optimization platform for the hydrocarbon processing industries. »Energy Management Solution: SOTEICA VISUAL MESA also provides energy and energy management solutions. One of its key solutions is the Energy Real-Time Optimizer (ERTO), which helped top operating companies save at least 3% of energy consumption and deliver savings in excess of $1 million per year in areas such as steam and power system optimization. Its online engineering model, optimization capabilities, and robust integration with existing IT systems make it one of the most desirable solutions. Yokogawa has deployed solutions across refining, petrochemicals, sugar, ethanol, pulp and paper, and commercial infrastructure. •Sustain & Improve: This is a very important phase, wherein Yokogawa maintains the solutions, helping the customer drive continuous improvement and sustained performance excellence. »KBC Co-Pilot ™ : Like an aircraft co-pilot, KBC Co-Pilot supports remotely the plant’s operational personnel with expertise and insight. The solution’s main objective is to ensure that the plant always achieves its full operational potential. Yokogawa uses a best-in-class simulator and plant-operating model on the cloud to synchronize with actual operation. The ability to extract real-time plant data helps to compare planned value, optimized value, and actual value in real time. Further, with the support of KBC consultants and experts who have diversified knowledge, customers can achieve optimized processes, higher value yields, improved plant reliability, and optimized operating costs. Yokogawa has implemented such solutions in the refining industry and plans to extend them to the petrochemical and chemical industries. Manage customers’ business risks with improving operational resilience. Yokogawa helps customers adapt more flexibly to changes in areas such as health, safety, security and the environment (HSSE), organizational optimization, and regulatory compliance. 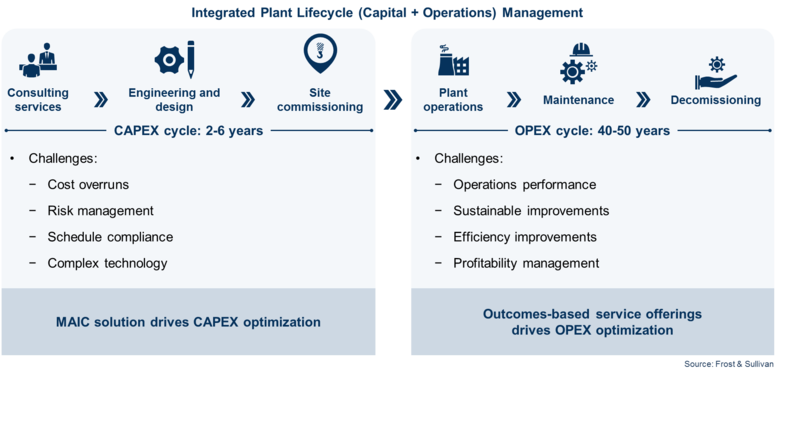 Optimize the total expenditure (TOTEX) components of capital expenditure (CAPEX) and operational expenditure (OPEX) over the entire lifecycle of a plant, and improve reliability. Also, directly create value by solving issues and optimizing operations throughout a supply chain, thereby enhancing productivity and profitability. Work with specific customers to create new business models that foster manufacturing excellence by such means as supplying cloud-based services that drive collaboration with their customers and suppliers and to introduce environmentally friendly manufacturing practices that are essential for a sustainable society. »Platform approach to excellence: Yokogawa’s secure integration of hardware, software, and service offerings cuts across the customer’s operations lifecycle. Together, the Synaptic Business Automation platform aims to improve continuously the customer’s operations. »Trusted partner approach: Providing a blend of technology excellence and services is required in current industrial markets. While many incumbent solution providers have strengths in siloed segments, Yokogawa’s integrated value proposition allows it to serve effectively customers with an end-to-end perspective. For example, KBC can offer facility simulation, reactor models, pipeline simulations, flow modeling, and fluid modeling in addition to value-added consulting services designed specifically around the end user’s business to improve operational and employee performance. The one-stop shop approach combined with Yokogawa’s excellent track record in executing critical projects has allowed it to stay focused on its vision of customer excellence. »Open systems approach: As the IT industry faced disruption by open system, Yokogawa believes that the process automation industry is also on the brink of embracing openness in its system platforms. Yokogawa has been one of the few companies to practice open architectures and its distributed control system (DCS) has been one of the most open systems available in the market. Continuing this vision, Yokogawa has a strong relationship with the Open Group and NAMUR Open Architecture (NOA). Because the components business is poised to be disrupted, Yokogawa is preparing itself for the future scenario. It is also working with customers in implementing open architecture systems. A key area on which Yokogawa is focusing is the possible use of Time Sensitive Networking (TSN) plus OPC UA on control platforms. The TSN + OPC-UA connectivity builds in a highly deterministic, low- latency communication network, which will be preferred for edge computing and critical process applications. Another case in point: Yokogawa is deeply engaged with NAMUR in its Modular Type Package (MTP) – to drive plug-and-play systems across the chemicals and pharmaceuticals industries. In order to understand the usability and success of Synaptic Business Automation concept, we will look at some customer success stories that Yokogawa has experienced across the industry. This will be mapped back to the continuous value-creation cycle phases. Yokogawa has more than 230 service centers across 80 countries. It is truly able to deliver a global reach with local proximity. While it offers many kinds of services, one of its unique offerings is a comprehensive security management solution. Below is a use case of an implementation with one of the leading international oil company (IOC). Challenge: The IOC had a good security policy, but poor visibility across multiple sites. It preferred unchanneled visibility regarding OS patch, synergy in security policy compliance, anti-virus signature management, and network security. Further, most of the sites had contractors working with poor security protocols in effect. The diversity in compliance and lack of centralized management created an imperative for the organization to find a trusted partner that could centralize the patch management, and authenticate certificates and signatures across all of the sites. Solution: Yokogawa along with an IT company assessed the current state of security practices and designed and deployed a centralized security operations center (SOC) for managed security services. In the SOC, nearly 20 engineers provide monitoring and managed services to the IOC. One of the primary reasons that the IOC chose to work with Yokogawa was its proven track record and robust capability across cybersecurity technologies. The customer created a scorecard comparing various vendors, which Yokogawa topped for its capabilities and versatility in handling IT and OT related security issues. As a next step, Yokogawa is progressively working with the customer to implement software-defined networking (SDN) and subsequently intelligent network monitoring services. Outcomes: Relying on the strength and trusted partner approach of Yokogawa, the IOC signed a multi-year contract. This started in 2014 and is in the 4th year of implementation. As Yokogawa successfully completed several MAC projects for the IOC, it was easier for the operating company to scale our services from site-level to multisite deployments. The IOC could easily implement supplier-certified patches and virus signature files from a Secure Center to the Secure Site at each plant globally. The ability to deliver proactive monitoring capabilities enabled true real-time monitoring and threat prevention. Yokogawa also provided a customer help desk operated 24/7/365 to manage deviations and associated occurrences. Global manufacturers in the process industries source materials from various suppliers and have diverse asset profiles. As technology advances, there is pressure to stabilize the quality of the end product, regardless of its constituents. To improve quality, manufacturers analyze various types of data and correlate them to arrive at interesting outcomes. This is a challenge because data analysis skill sets vary by site. Below is a use case of how a chemicals company leveraged an innovative solution from Yokogawa to reduce variability in end-product quality. Challenge: The chemicals value chain is highly connected; if an issue occurs in one part, it has a ripple effect. Even though great caution is exercised to ensure precise processing, the company discovered a need to monitor process deviations more closely to reduce variability in the end products. Due to the variability in the supplier-sourcing ecosystem, the company was unable to pinpoint the source of the issue and was unable to achieve its quality related KPIs. Solution: Yokogawa began offering a process data analytical service to its customers in 2008. To date, more than 100 contracts for this service have been concluded with companies in Japan’s chemical industry and other industries. The companies have begun to rely on this value-adding service. We leveraged the Mahalanobis-Taguchi System (MTS) to design and develop a multivariate measurement system to accurately measure the level of pattern abnormality and subsequently evaluate the accuracy of predictions. The software solution, packaged as process data analytics, compares the collected data and triggers an alarm based on any process deviations. Outcomes: Regardless of the raw material supplier, the customer could achieve uniform end-product quality while proactively managing issues in real time due to early visibility. Further, quality inspection teams could scale this solution across all sites and tighten control procedures. #3 – Plant Modernization through Co-innovation Approaches: Maps to Identify, Create & Implement and Operate phase of the value creation cycle. The purpose of advance process control is to improve operational efficiency, enhance safety, and drive product quality while reducing operator loads and energy consumption. The aging assets across process industries open an interesting window of opportunity to implement technologies such as APC to drive incremental improvements in plant performance. Challenge: A chemicals manufacturing company in China was concerned about its aging infrastructure and its inability to mitigate the trade-off between safety, energy consumption, and operational efficiency. It also had a value dis-connect between top-level management and plant-level personnel, most of its control loops were not optimized, and the amount of operator load per shift was high. Solution: Yokogawa, leveraging its best-in-class experience across the chemicals industry and state-of-the-art APC technology, developed a two-phase project to overcome the challenges of the customer. Phase 1: Assessing the current state of operational readiness, Yokogawa found that about 50% of the control loops were not running optimally. The high operator load was increasing operational risk. Phase II: Yokogawa implemented an APC solution and data aggregation at a centralized level. Because performance of the plant’s units varied widely, Yokogawa delivered model tuning to optimize and equalize performance. Control loop assessment and tuning led the customer to increase the control loop utilization from 50% to 93%. Reduced energy consumption helped the customer save on steam by about 6,300 tonnes per year. Development of alarm visualization and rationalization helped the customer reduce the number of alarms from 2,400 per hour to 12 per hour. Implementation of the APC solution reduced the operator load. Today, there are only 2 operators per shift instead of the previous 4 per shift. The number of steps involved in the manual operations was also reduced by 50% during start-up and shut-down of the processes. As process industries undergo tectonic shifts over the next few years, the need to address their current and emerging needs as a trusted partner, integrated solutions and service provider are essential to sustained success in the market. The halving of technology refresh cycles (Few years back, technology innovation was around 7 years, but the rate of innovation has driven down the cycle to 3.5 years) now and the emergence of digital industrial platforms are creating a perfect nexus for disruptive and exciting transformation. At the same time, process industries are facing acute pressure due to the decline in the skilled workforce and the growth of digital natives in the workforce. These changes the way technologies will be adopted, consumed, and managed. Further, the industry is progressively shifting from reactive, turnkey contracts to continuous annuity-based lifecycle engagements. While industries evolve and face multifaceted imperatives, Yokogawa has pursued its vision of being a trusted partner to its customers. It strives to maintain a strong track record of delivering reliable technologies while at the same time continuously evolving to offer digital industrial platforms and applications like Synaptic Business Automation. These solutions create sustainable value for customers by driving resilient operation, optimized production, and nurture sustained business innovation for customers. Yokogawa’s portfolio of differentiated digital solutions helps it to deliver excellence within the four walls of the plant and at the same time optimize the connected value chain. In summary, Yokogawa is all delivering excellence through co-innovation with customers. 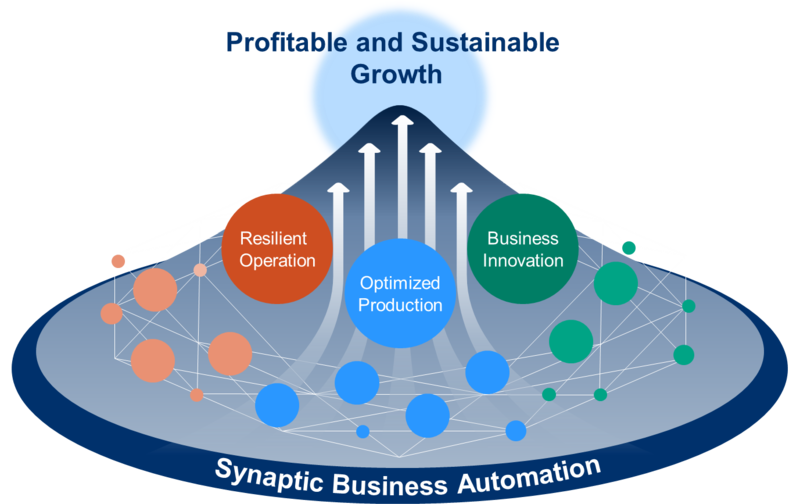 Synaptic Business Automation creates sustainable value by connecting everything in our customers’ organization.To realize this, Yokogawa integrates its business and domain knowledge with digital automation technologies, and co-innovates with customers to drive their business process transformation.